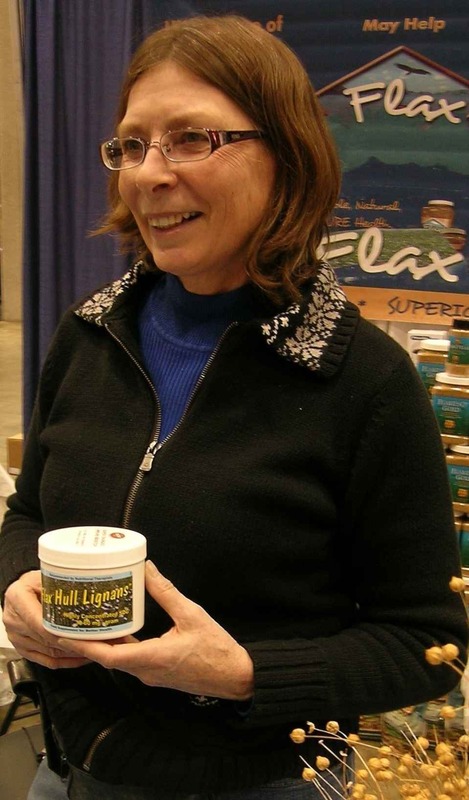 Healthy Flax: "Spring into new season with diet rich in flax"
Ellie of Ellie's Whole Grains shared the health benefits of flax seed and flax hull lignans. Ellie runs a thriving business in St. Paul, Minn., where she sells flax seed, flax lignans and cold milled ground flax. ST. PAUL, Minn. - After a long day out in the field or garden, why not kick back and enjoy a tall glass of your favorite juice - with a few spoons of healthy flax seed? According to veteran health expert Ellie, flax is a super-immune system booster, packed with Omega-3 fatty acids and lignans that have been shown to shrink cancer cells - in short, the healthiest food on earth you could possibly eat. Ellie, who runs Ellie's Whole Grains in St. Paul, sells the grain in gallon jugs and smaller pre-ground portions. "I tell people to eat from the farm and stay out of the pharmacy. It's very important to know where your food comes from," she said. "With the high nutrition available in flax, your body gets what it needs to maintain and heal itself, and the cells can more actively pass information to each other." The benefits of flax conjure up notions of a miracle potion - just 3 tablespoons of flax seed provide as many Omega fatty acids as a pound of fish, satisfy half the daily fiber requirement and offer 10 grams of protein, Ellie said. These rich nutrients account for heightened energy, lowered cholesterol, stabilizing blood sugars associated with diabetes, increased metabolism and relief from skin disorders, depression, arthritis and other ailments. In addition, the phytoestrogens in the flax hull lignans may relieve menstrual disorders and lessen the effects of aging in women, Ellie said. 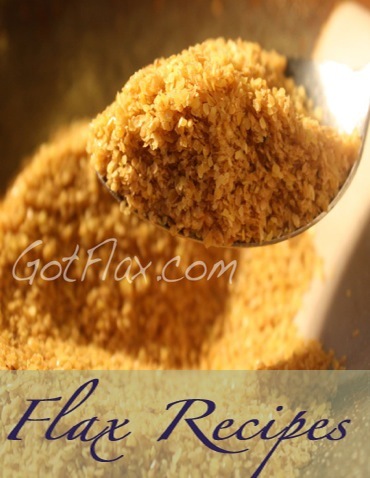 And flax is a delicious accompaniment to yogurt, bread, milk and a variety of other foods. "I save a lot of money on food because flax is very filling, and it will typically kill off sugar cravings and help people lose weight," Theobald said. "The Omega-3s also coat the nervous system and are helpful to joints." Ellie, who served as a missionary for 33 years in New Guinea and began taking flax seed almost 10 years ago, said the seed's benefits far outweigh the nutrition available in most supplements on the market. "I've always been interested in nutrition, and I've been persuaded to try new supplements by others," she said. "New supplements are coming on the scene all the time - but 95 percent of supplements on the market are a waste of money." "When I began taking flax, I noticed the health benefits instantly," she added. "I noticed how the fiber cleanses the intestinal tract and gets rid of toxins, boosting the digestive system, which begins to fall apart at age 25 and makes the body vulnerable to diverticulitis and other disorders." The Omega-3 pills consumers can find on their grocery shelves are more convenient but less of a deal - and when the oil is processed out of the pills, the beneficial lignans, protein and fiber are lost, as well, Theobald said. The Golden Omega flax seed that Ellie sells is grown in North Dakota, by a single farmer in the Cheyenne Valley. She had a display at the recent National Farm Machinery Show in Louisville, Ky. Though it was her first visit to the popular event, she almost sold out of barley and lignans and always hears back from customers, she said. "I've had three orders for flax since I left Kentucky," she said. "I always get re-orders, and people call to let me know they know they can buy a higher quality product here than from their local co-op." Ellie's customers can buy a gallon jug of whole seed, a "dedicated" coffee grinder to grind the seed daily or a pre-ground container. And although many people still are unfamiliar with flax, it will continue to spark more interest because of its nutritious qualities, and it will fuel researchers to discover many of its hidden benefits, Ellie said. "Everybody, rich or poor, will spend money to get their health back," she said. "My sister in Fargo knows a doctor who works in the AIDS ward of a hospital and is developing research on flax and patients," she added. "We are continuing to do research on its benefits all the time." Reprinted with permission from AgriNews Publications.